Dwayne Cummings, O.L.S., B.Sc. Eng. Dwayne is always happy but never satisfied. Loving his work makes him happy, but striving to find better and more efficient ways for IBW to serve it’s clients means he is never satisfied, always feeling that IBW can be better. While Dwayne believes there is no better surveying firm than IBW, he is also a believer that in order to remain the best, it requires a concentrated efforts to improve. As a graduate of the Geodesy & Geomatics Engineering Degree program at the University of New Brunswick, Dwayne has the academic background to go along with decades of experience in the surveying industry. 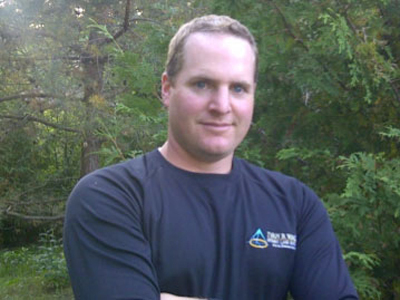 His days cutting property lines as a field assistant in his home province of Nova Scotia, combined with other stepping stones along the way, have provided Dwayne with the experience necessary to flourish in his current position as Manager of Operations helping make IBW an industry leader.